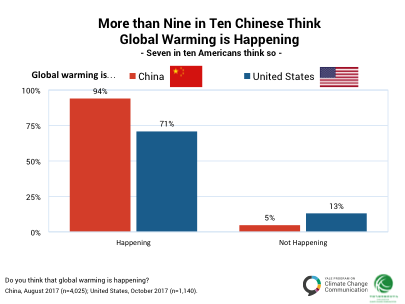 Bonn, Germany– At COP 23 the China Center for Climate Change Communication (China4C) and the Yale Program on Climate Change Communication (YPCCC) presented results from fall 2017 surveys of public opinion about climate change in China and the United States. 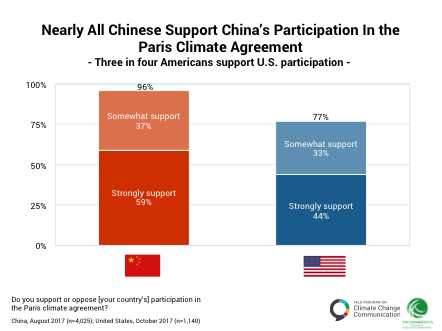 The studies demonstrate that the public in China and the US – the two largest annual emitters – support climate action domestically and internationally. 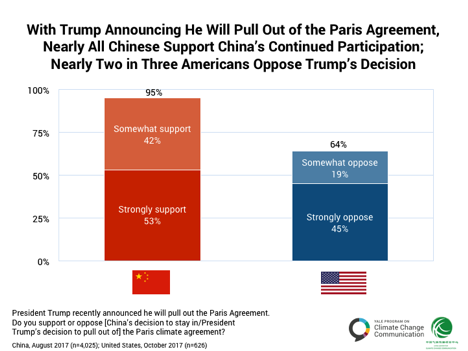 The survey findings are especially timely as President Trump says he will withdraw from the Paris Agreement, while President Xi articulates a growing commitment to lead on the issue. 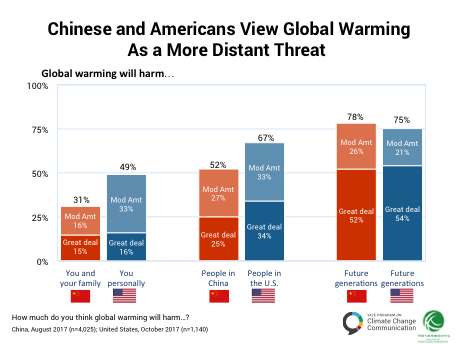 The survey’s insights should help inform policy makers and civil society as they mobilize to act on climate change. 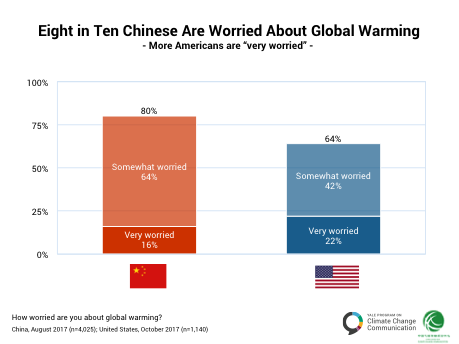 The attached six graphs compare the key climate change beliefs, risk perceptions, and policy support found in China and the U.S.
“The Trump administration’s efforts to roll back climate policies are at odds with a growing majority of the American public, who want more, not less action,” said Anthony Leiserowitz, Ph.D., of the YPCCC, Principal Investigator of the US survey. 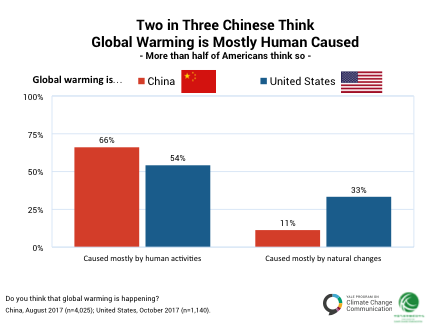 Binbin Wang, Ph.D., of China4C, lead author of the survey in China, along with Dr. Leiserowitz, presented the results at COP 23 in an official UNFCCC side event Friday afternoon.